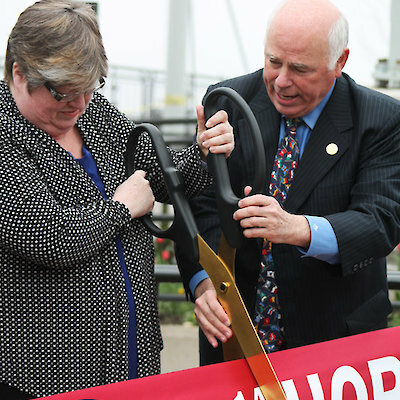 May 14th was the official ribbon cutting ceremony for Hornblower Niagara Cruises. 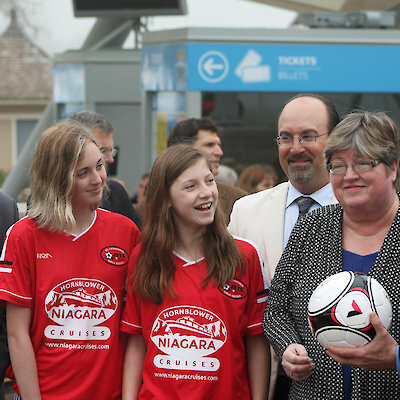 You could feel the excitement in the air as the much anticipated moment had finally arrived. 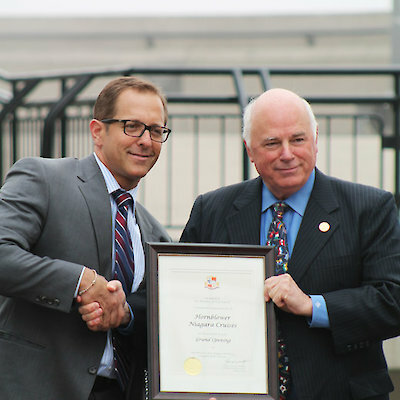 Our Niagara Falls Mayor, Jim Diodati welcomed Terry McRae, Owner of Hornblower Niagara Cruises to Niagara Falls Canada along with many other dignitaries and media. 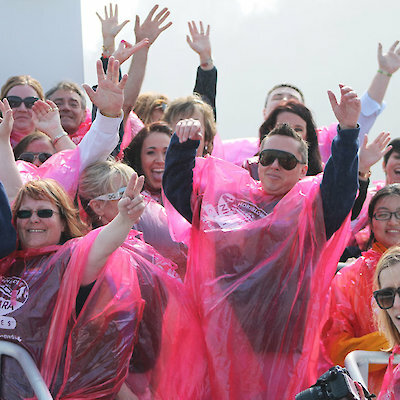 On this particular day it also happened to be my birthday; as luck would have it, this bit of information was leaked out and I found myself invited on a special cruise with the Hornblower staff that very day. 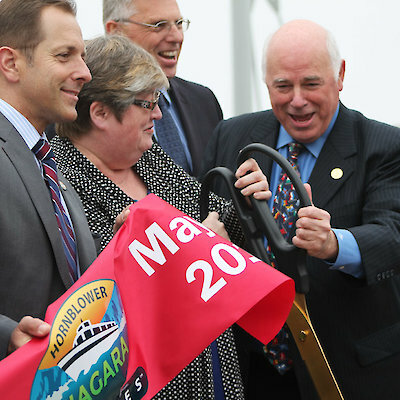 This ladies and gentlemen is how it came to pass that I was one of the first to ride the Niagara Wonder as it set off towards the Canadian Horseshoe Falls one day prior to being open to the public. 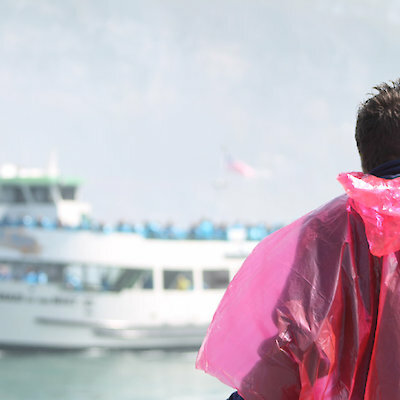 Doaning my red poncho, ‘Mist Gear’ we set sail past the American Falls and onwards to the Canadian Horseshoe Falls. I love the water so my hood was off as the wind blew through my hair, the sound of the falls engulfed my ears and the mist drenched my face. 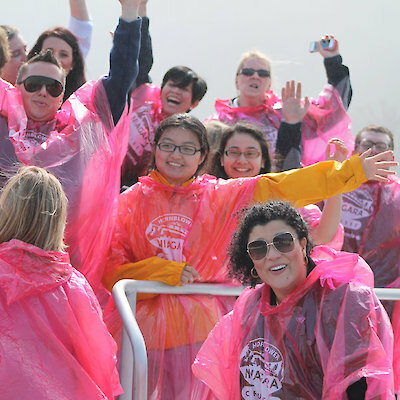 Of course you may prefer to put up the hood on your poncho, but I was there to get wet! 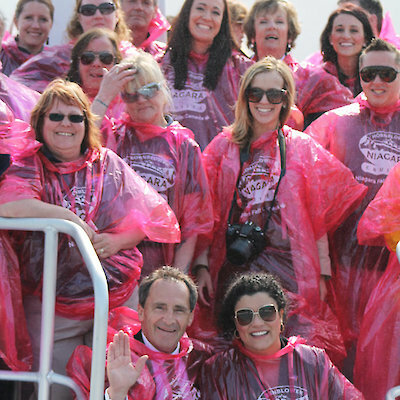 We waived at the passengers on the Maid of the Mist as we passed by one another, a wonderful feeling of camaraderie as both the American and Canadian visitors waved to each excited to share this mutual experience. What a thrill! What a spectacular attraction. 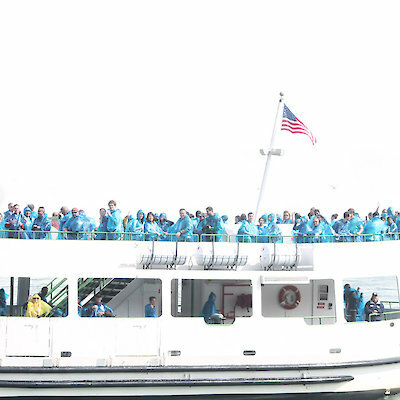 Thanks Hornblower for inviting me. 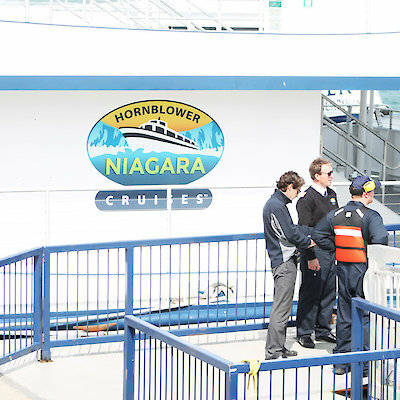 Now let me give you some info and tips when going on the NEW Hornblower Niagara Cruises. Click on an image down below to blow up the photos in the photo gallery.